For beginners and improvers, both sessions are from 10.00 – 12:30 and are suitable for all ages of 8 upwards. We run the groups regardless of the weather and have a selection of onshore sailing related activities for poor weather weeks. Please note that participants need to be rigged for 10am, ready to launch at 10:30am. The Beginner group is all about being out on the water, getting used to the environment and having lots of fun. 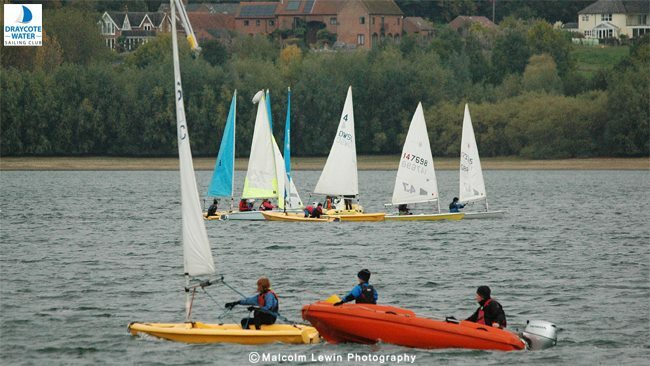 This session will normally involve a experienced sailor in each boat but basic understanding of sailing is required. The Intermediate group is a much more focused session where the group as a whole is looking to consolidate and improve their sailing skills following the RYA scheme in their own or club boats. All participants should be stage 2 or above.